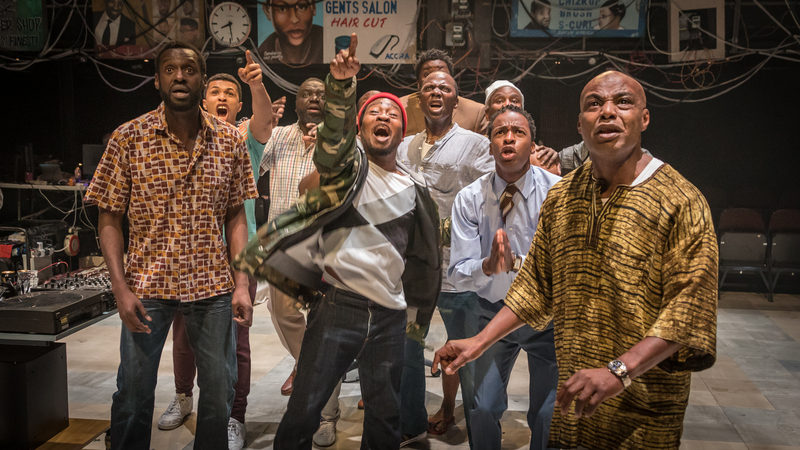 Promo: Barber Shop Chronicles to play at Curve Leicester on UK tour. 3-6 April. – East Midlands Theatre. The tour will visit Manchester, Leicester, Bristol, Sheffield, Oxford and Southampton with further venues to be announced soon. 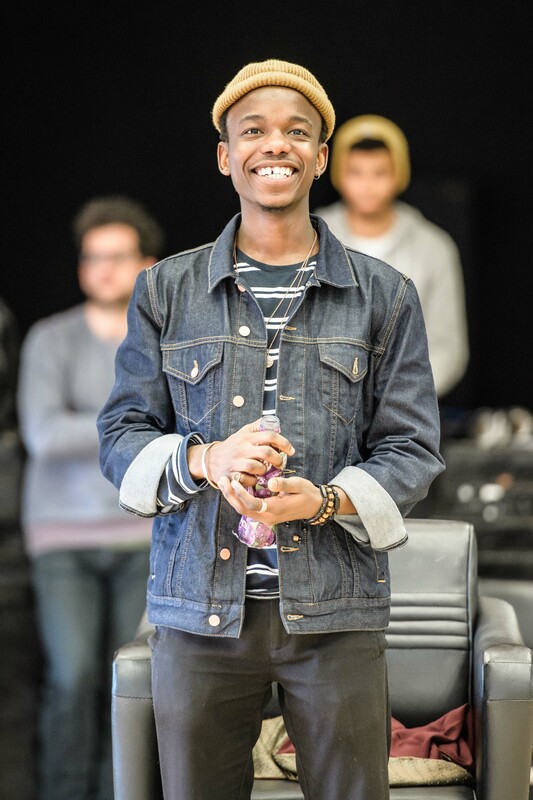 Barber Shop Chronicles is a co-production between Fuel, the National Theatre and Leeds Playhouse. Fuel has formed a national partnership to support the tour with Leeds Playhouse, Birmingham Rep, Bristol Old Vic, and the Royal Exchange Theatre and Contact in Manchester. The UK tour of Barber Shop Chronicles is supported by a major grant from Arts Council England. Fuel also announces that a minimum of 10% of all available tickets across the entire tour will be made available for free via local engagement initiatives aimed at young people who traditionally wouldn’t attend theatre performances. 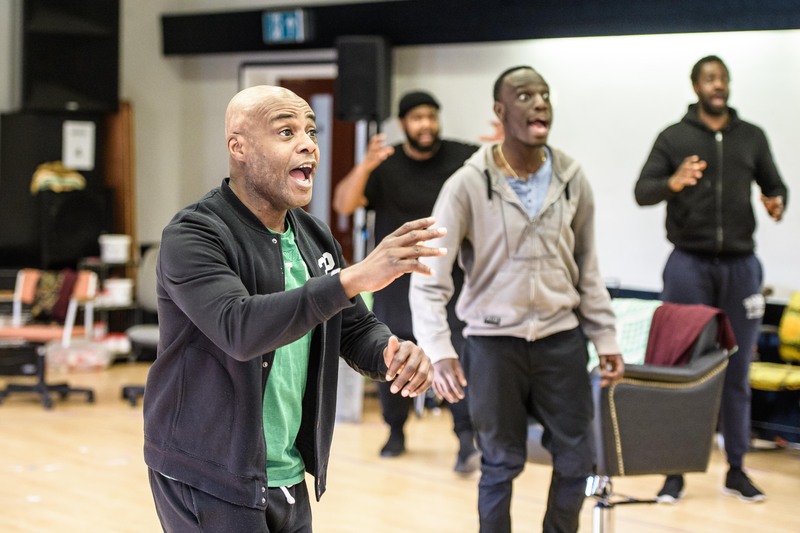 The runaway success of Inua Ellams’ highly acclaimed play Barber Shop Chronicles continues as today Kate McGrath, Director of Fuel, is delighted to confirm that Barber Shop Chronicles will tour the UK from March 2019. 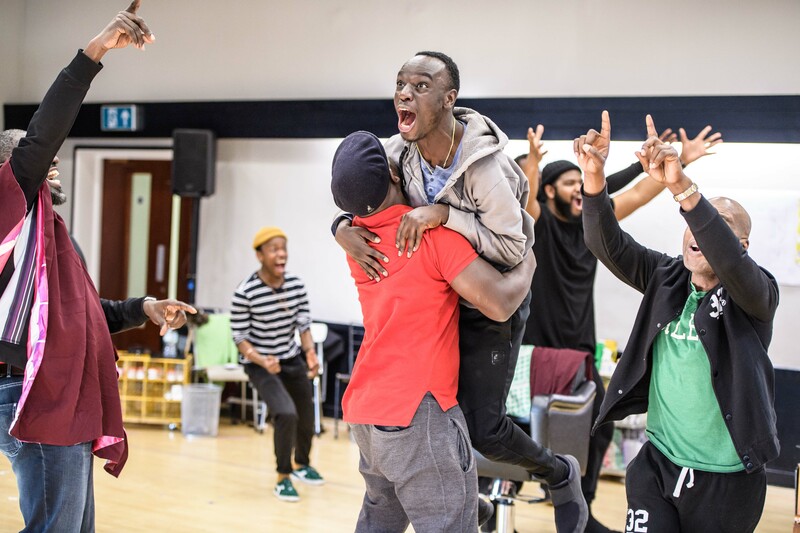 Working closely with a national partnership of venues (including Leeds Playhouse, Birmingham Rep, Bristol Old Vic and Royal Exchange Manchester with Contact) Fuel is thrilled that the UK tour of Barber Shop Chronicles will be supported by a grant from Arts Council England. This support will help the production to attract new, young and diverse audiences with a minimum of 10% of all available tickets across the entire tour will be made available for free via local engagement initiatives aimed at young people who traditionally wouldn’t attend theatre performances. Kate McGrath, Director of Fuel, and Inua Ellams met in 2008, after Kate saw what became Inua’s first theatre show, The 14th Tale, at Battersea Arts Centre. Fuel helped Inua develop his debut play and produced it, premiering it at the Edinburgh Festival, winning a Fringe First, touring it in the UK and internationally and presenting it at the National Theatre. Since that first meeting, Fuel has worked closely with Inua, producing Untitled, Knight Watch, Long Song Goodbye, Black T-shirt Collection, The Spalding Suite, An Evening with an Immigrant, and now Barber Shop Chronicles. 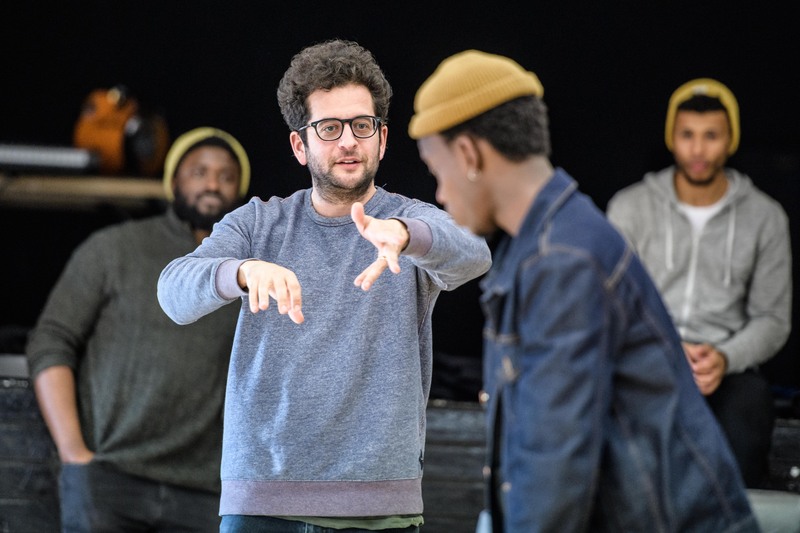 Fuel is also currently co-producing Inua’s Half-God of Rainfall with Kiln Theatre in association with Birmingham Rep, which will open in April 2019, and Inua’s Three Sisters with The National Theatre, which will open in autumn 2019. The production is directed by Bijan Sheibani, designed by Rae Smith, with lighting design by Jack Knowles, movement direction by Aline David and sound design by Gareth Fry.Co-commissioned by Fuel and the National Theatre. Development funded by Arts Council England with the support of Fuel, National Theatre, Leeds Playhouse, The Binks Trust, British Council ZA, Òran Mór and A Play, a Pie and a Pint. The tour has received National Lottery funding through Arts Council England’s Project Grants programme. 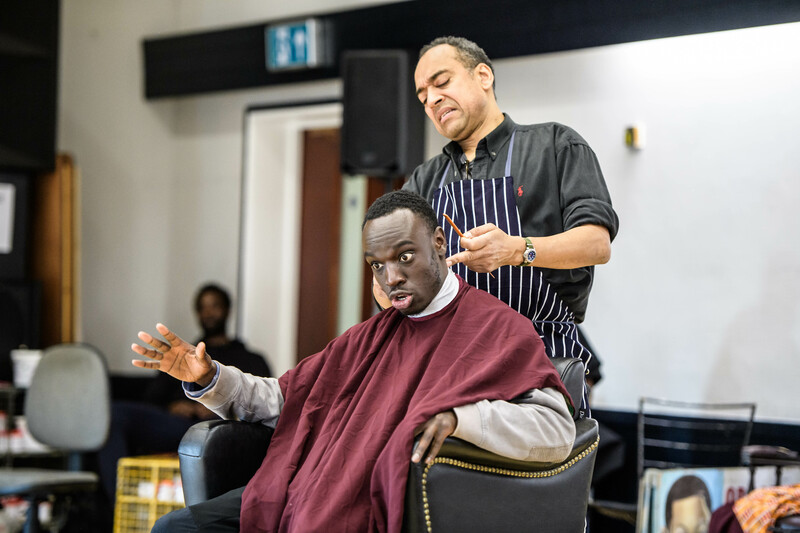 Barber Shop Chronicles runs at Curve Leicester Wed 3- Sat 6 April.